My name is Emelie. I’m 29 years old and I come from Sundsvall, Sweden. My passions in life are: family, friendship, traveling, languages, writing, shoes, tattoos, books, and love. I’ve always enjoyed writing, so I therefore started a blog at blogg.se in 2007 where I have been blogging up until 2014 (emeylie.blogg.se). Eventually I wanted my own website, one which could host all my different blogs, and then emeylie.se was born! I have a personal blog in Swedish that is password protected, since it’s only intended for close friends and family, and a general blog in English. Languages has always been a big interest of mine and I love to write in both Swedish and English. So why the name emeylie? Well, when I created my blog at blogg.se in 2007 I wanted to have a specific blogger name similar to my own name (Emelie), but still somewhat different and unique. I tried many different ones until I finally decided on emeylie. It’s almost emelie, but with a twist, so to say. My blog has therefore ever since 2007 been emeylie and I decided to keep that name for my website, because that’s a name that I feel connected to now. I now wish to use my experience of other countries and cultures in a future profession, as well as my interest and knowledge in languages, communications, marketing and media. I have two Bachelor Degrees in languages, one in English and one in French, and I also have a Higher Education Diploma in media and communications. I am a positive, ambitious and creative person with good people skills, a great attention to detail and good organizational and planning skills. From January to May 2014, I did an internship at St. George’s School of Montreal, where my work title was Information Officer. During my internship, I worked on multiple projects within the Department of Communications and Advancement, and this internship served as an opportunity for me to use and develop my knowledge of English and French further. 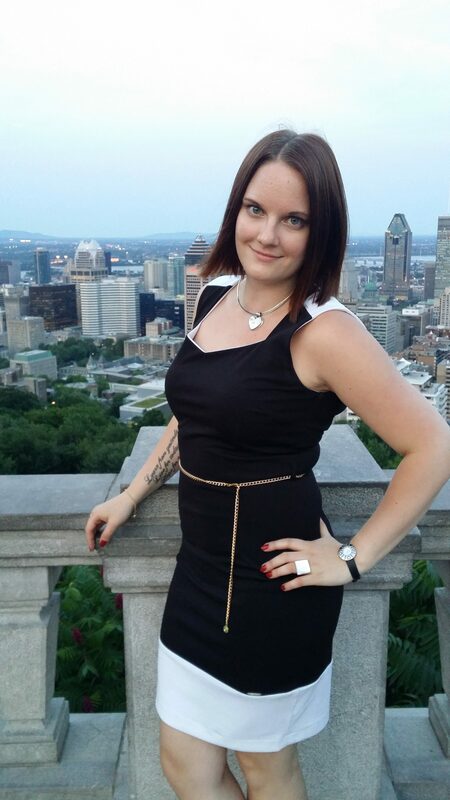 I moved to Montreal in September 2014 and worked part-time at IKEA Montreal between October that year until June 2017. However, with my knowledge and experience I feel that I would be a great asset within the field of communications, languages, marketing and media, in Swedish, English and French. Between February 2017 to June 2017 I did an internship in communications with Payza, which led to a full-time position in communications and marketing in July 2017. My title was Communications and Marketing Coordinator and I worked at Payza until March 2018. I moved back to Sweden in October 2018, to Stockholm, and am pursuing a career in communications, marketing and media. If you would like to know more about me, or would like to read my CV or cover letter, feel free to write me a comment or send an e-mail to emelie@soderlundlarfors.se. Otherwise, I hope you’ll enjoy my website!